During the holy month, Iftar is one of the religious observances, often done as a community, with people gathering to break their fast together. Iftar is taken just before Maghrib time, which is around sunset. Awali Ballroom at Sheraton Bahrain Hotel boasts a traditional Arabic décor in a neutral colour palette, palatial arches engraved with fine mosaic, carved mahogany wood paneling and a twin tent roof with stunning wrought iron chandeliers that creates a distinct and sophisticated ambience. 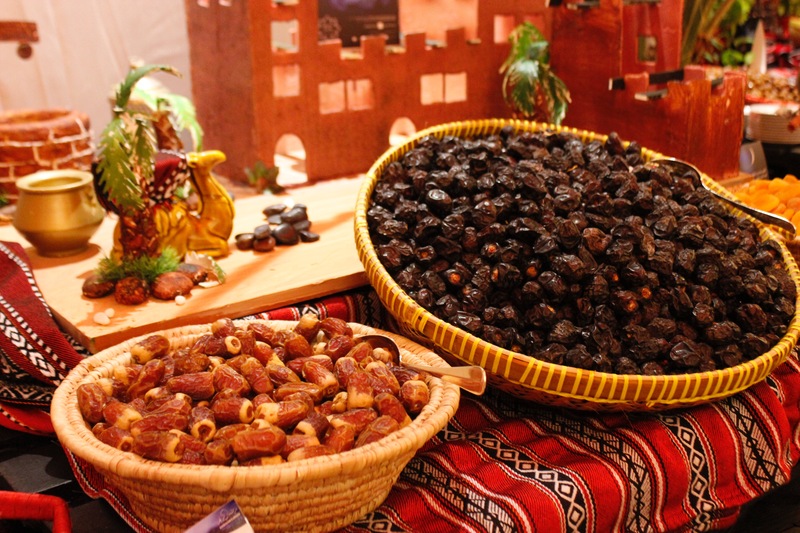 Iftar dishes includes traditional Arabic dishes, international menu option, traditional Arabic juices corner, a huge variety of cold mezzah and starter, a dates corner fits for the occasion, crepe station and exciting dessert corners guests love. 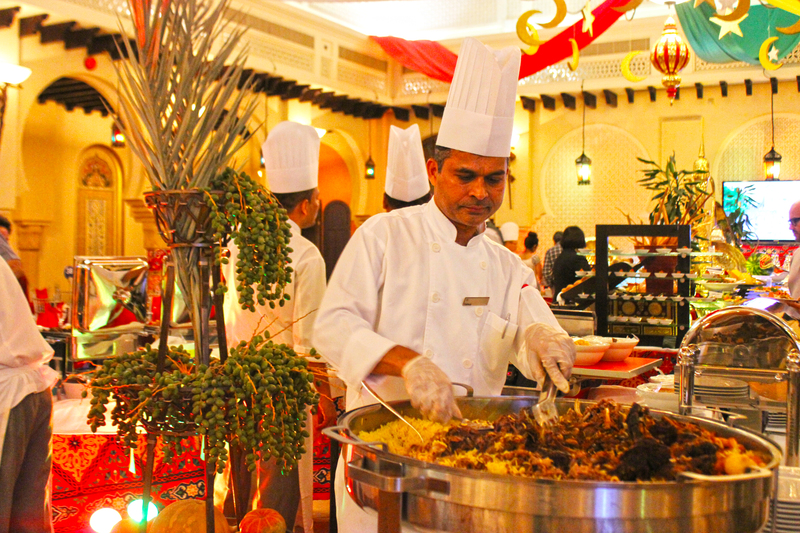 Iftar buffet is served from sunset to 8:30 PM. In Bahrain, this is a family and friends gathering after iftar which can last until late morning. 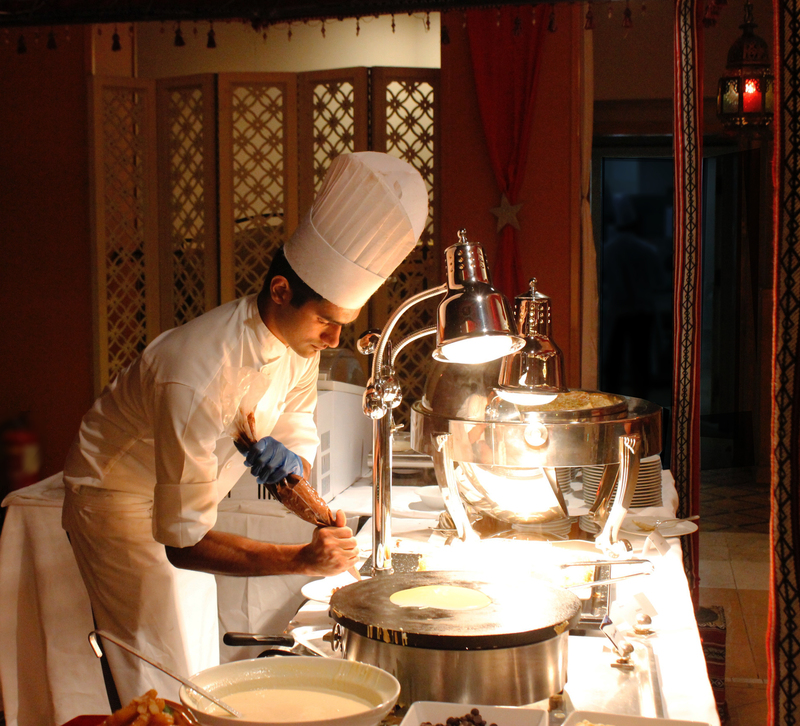 At Sheraton Bahrain, daily ghabgas will be served at Al Safir Restaurant from 9:00 PM to 2:00 AM. Ghabga is priced at BHD12.900++ for adults. Wondering where to grab a meal during daytime in the holy month? Al Safir Restaurant will be opened during the Holy Month of Ramadan. A special a la carte menu will be offered throughout the day. Espressamente Illy cafe is open daily from 4:00 PM to 12:00 midnight.